North Carolina, also known as the Tar Heel State, is one of the highly populated states of US nation and ranks 28th in terms of area. North Carolina, earlier known as Province of Carolina, was 12th state to be admitted under US union in 1789. NC department of Public Instruction oversees the working of various educational organizations in North Carolina. Economy of North Carolina is based on diverse sectors such as financing, biotechnology and engineering. NC is ranked 3rd best on list of most business favorable states list. Health care industry in North Carolina is also on uprising and the nursing programs are overseen by North Carolina Board of Nursing. What is the North Carolina Boar of Nursing and what are its divisions and responsibilities? North Carolina Board of Nursing is the administrative council, which secures the public health issues and regulates safe nursing practice in North Carolina. The board is responsible for various nursing activities and actions related to nursing programs. Various nurse assistant trainees and applicants are also licensed by NC board of nursing. License renewal and expiration records are also maintained by NC board of nursing. Board works in divisions of small units, each having its own functions and responsibilities, to achieve the higher standards of services in state. NC board of nursing actively participates in IRE and NCSBN council meetings to support evidence based practice. Financial budget and Real Estate management are also indigenous parts of board services, which are much necessary for efficient regulation of board services. Promoting and developing learning culture in state for better understanding of health care needs and industry are also important aspects of Board’s responsibilities. Who are the current Board Members and who elects these members? There are 14 members in Board of Nursing in North Carolina. The working tenure is 3 years for each member. The members can be reappointed only twice. 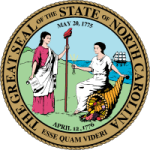 The Board Members are appointed by the governor of the North Carolina State.